I’ve now had my Garmin Vivosport for two months. My review in December gave my initial thoughts and impressions on use, and now I’ve had two months of actual use to do a real review. While I still think the Garmin does well in terms of step-tracking, and I like the built in GPS, I’ve had several problems that made the Vivosport more disappointing over time. First, my skin. When I first put on the Vivosport, the band fit well and didn’t cause any skin-related problems the way my Fitbit Charge did. Over time, the constant wear in the same place (necessary to track heart rate) has definitely began to affect the skin. I’ve developed contact dermatitis. Partly this is because my wrist will swell and the band will get too tight, or the opposite will occur and the band will slide around. It’s not nearly as bad as with the Fitbit, but it’s not great. And I can’t wear the band looser (which results in less contact dermatitis) because of the problem in the next paragraph. Second, the heart rate drops or doesn’t pick up properly during about half of my workouts. (This always happens if the band is loose.) 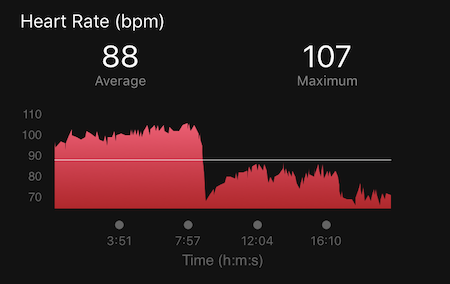 Some days I’ll go for a 45 min walk on the hills of my neighborhood, and my average heart rate will be 125 bpm (a mix of higher on hills and lower on downhills). Sometimes I’ll do the same walk and it’ll say my average heart rate is 90. Um…no. I can see the sudden dip or rise that indicates that part of the walk wasn’t recording properly. This means that half of my workouts don’t give me an accurate readout. At first, it was just indoor walking workouts, and I could deal with that, but lately it’s been outdoor walks as well. Any time I mix some jogging in, it does the same. It’s frustrating. Lastly, the inaccuracy of the GPS has gotten much worse than I initially thought. I might walk 1.8 miles and the Garmin will give me 1.5 miles. My pace will go from an 18-minute mile to a 21-minute mile during some workouts, just by the GPS being wrong. I can look at my path afterwards and see where it thinks I’m walking through houses. –> A little inaccuracy is expected. 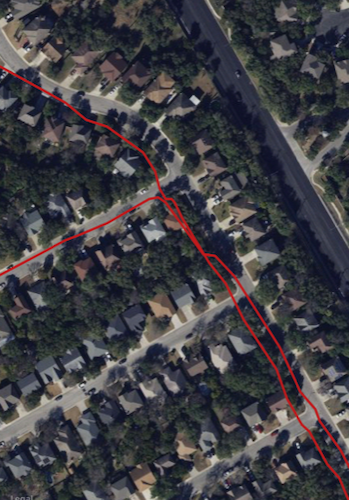 My walk log on my phone (using my phone’s GPS) sometimes has me in the wrong spot (on a lawn or in the street when I’m on the sidewalk) but it’s so close that I feel good about the tracking capabilities. And when I started relying on the walk log rather than the Garmin, I started wondering what I was wearing this Garmin Vivosport for. Steps. Just steps. That’s the only thing it seems to calculate accurately. (Well, and resting heart rate, I suppose, but that’s not a measure that I pay any attention to, and sometimes that’s wrong, too – once it told me that I was up on the elliptical for ten minutes in the middle of the night when I was asleep.) I don’t know if the problems with the software comes from this being a refurbished model, or if it’s a problem with the Vivosport generally. 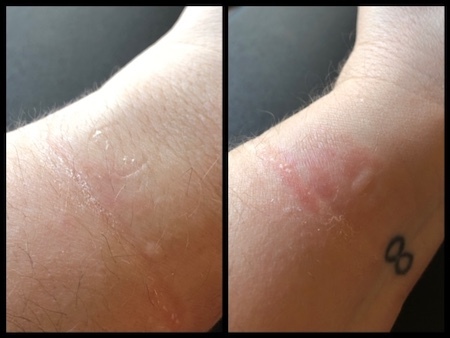 But the contact dermatitis won’t be long-term sustainable, and I’d like to have back several measures of health that are accurate: calories burned during exercise, calories burned in a day, floors climbed, etc. As y’all know, I’ve been trying to find a decent fit tracker since my Fitbit One broke almost a year ago. I just really, really wish Fitbit was still making the One! My cobbled-tracker for the Fitbit Charge was okay, but still not ideal (only worked if I had pockets). So I decided to bite the bullet this week and pay way too much to get a refurbished Fitbit One with a three-year warranty. I really ought to have done this a year ago instead of trying all these different things. No matter. I’m just happy to finally be back to a reliable device for me again! My Fitbit is scheduled to arrive tomorrow. I love the timing – I should be back to my One on the first of February! This entry was posted in Wellness and tagged fitness, Wellness Wednesday. Bookmark the permalink. Wow, that really stinks I wish I could help. My Samsung gear fit is awesome but it has a similar band so I don’t think it will help for the skin situation. I’ve had a really fun time with my tracker but I admit I never use the GPS and I really should check it out. I am proud that you are doing all you can to keep in good shape and the fact that you are putting in the effort is the most important thing in my book, ya know? The trend toward watches for fitness gear is a sad one for people with major skin issues, haha. Oh well, glad I could find a refurbished One to buy! Absolutely I do love mine but I dont have any skin reaction to it or most stuff. What a bummer! I’m glad you’re able to get a new One since that’s worked best for you. I’m so glad there are some still available. Hopefully it works for a couple years this time! !